Madrid had already lost 3-0 at Sevilla, drawn 0-0 with Atletico Madrid, and lost 1-0 at CSKA Moscow before a humiliating 1-0 defeat at Alaves on Saturday. Can Manchester United manager Jose Mourinho survive 'manhunt' after stay of execution? BARCELONA: It looked like a no-brainer at the time. Which coach wouldn't jump at the chance to lead star-packed and wealthy Real Madrid? But four months later Julen Lopetegui may be ruing the day the club's president Florentino Perez made him an offer that he just couldn't refuse. 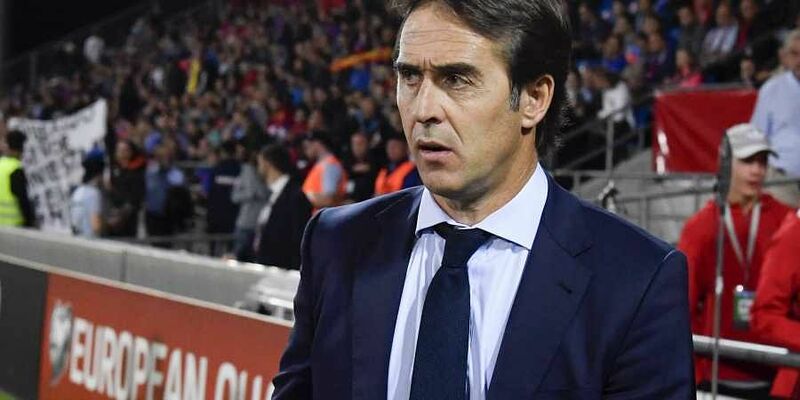 Not only did his decision in June to sign for Madrid get him fired as Spain's manager two days before the start of the World Cup, but the juggernaut Lopetegui inherited from Zinedine Zidane is now a team in apparent disarray. Madrid has lost three times and drawn once in its last four matches. The team that boasts stars such as Luka Modric, Gareth Bale and Sergio Ramos hasn't been able to score a goal in that span. Even the departure of Cristiano Ronaldo, who left Madrid this summer as its all-time top scorer, can't shield Lopetegui from being blamed for the team's longest scoring drought since 1985. Lopetegui has tried to take a team that for nine seasons was built around putting Ronaldo in position to score and mold it into a side that deploys a collective attack. In Lopetegui's own words, "it doesn't matter who scores, the goals are scored by the team." Unless, that is, nobody can put the ball in the net. Even though Alaves is exceeding expectations and Madrid was playing without three of its first-choice players, Madrid hadn't lost at the Basque club's ground since the 1930-31 season. Lopetegui seemed helpless to stop his players from being outmuscled in most of the individual match-ups and was unable to find a way to break Alaves' pressure and spring Bale on the counterattack. While Bale and Karim Benzema have failed to score consistently this season, Lopetegui benched Marco Asensio against Alaves in favor of Dani Ceballos. Asensio went on late along with newcomer Mariano Diaz, but neither could generate scoring chances. Ramos made a half-hearted defense of his coach. "When it comes to making changes, there are others who take those decisions, it is not up to the players," Ramos said, before adding, "For the squad it is never good that there is a change of manager. ... It would be crazy." Lopetegui had kept Spain unbeaten in 20 matches but the national team exited the World Cup in the round of 16 in the wake of his departure. Ironically, Lopetegui must hope that this week's international break will give his injured players a chance to recover. Bale and Benzema both had to be substituted during the match at Alaves because of unspecified injuries. Marcelo and Dani Carvajal were already unavailable, while Francisco "Isco" Alarcon is recovering from surgery to treat appendicitis. "This is a difficult moment and the coach is always the one who is responsible," Lopetegui said. "We still have time. But it is clear that first we must get some important players back, as well as our verve and confidence. Obviously, confidence comes through scoring goals." Madrid's next match is against Levante on Oct. 20. It will then play in the Champions League against Viktoria Plzen before it visits rival Barcelona on Oct. 28. Fortunately for Lopetegui, Barcelona is also in a domestic dip despite Lionel Messi's best efforts. Messi scored to salvage a 1-1 draw at Valencia on Sunday, but Barcelona's winless streak in the league reached four games. Barcelona had hoped to reproduce its stellar midweek performance at Tottenham when Messi scored twice in a dominant 4-2 victory in the Champions League. But despite dominating long stretches of the match at Mestalla Stadium, its defense had another of the kind of momentary lapses that have plagued Barcelona recently and allowed Valencia to score early from a poorly defended corner. "It is true that we are in a rut this season that we avoided last year of either having to come from behind or have the match turn against us," Barcelona coach Ernesto Valverde said.